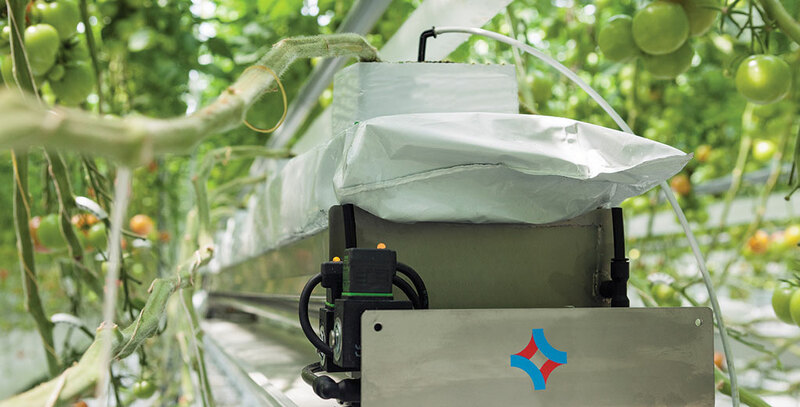 Aquabalance is a special sensor that determines the plant’s water requirements in order to align irrigation precisely. Irrigation is a precise task: too little water or too much water can damage your crop and lead to cultivation loss. In addition, over irrigation causes unnecessary costs. 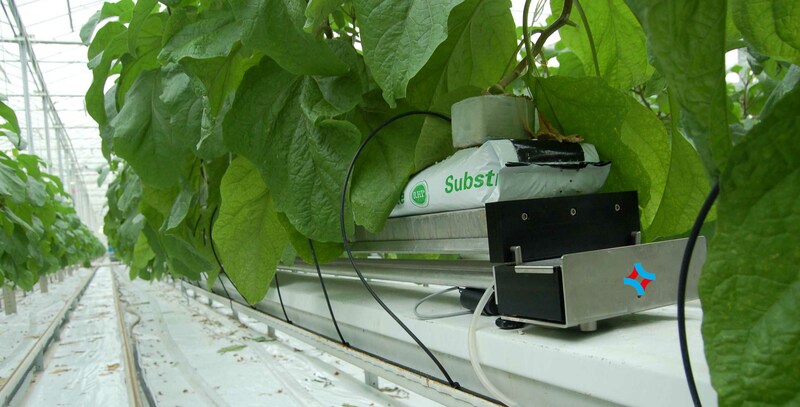 Aquabalance, specially designed for substrate cultivation, prevents this. 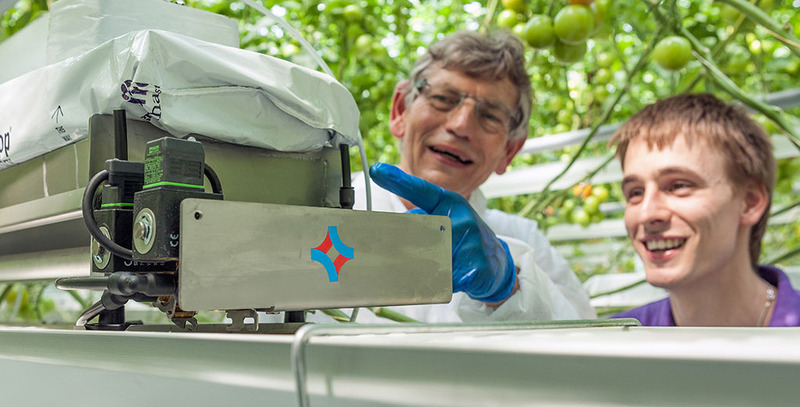 In combination with the software in the iSii process computer, the Aquabalance sensors register the weight development of the substrate mats very precisely. This gives you insight into the amount of water absorbed by the plants. Aquabalance tailors the irrigation exactly to the plant’s requirements and also implements the desired drain percentage. 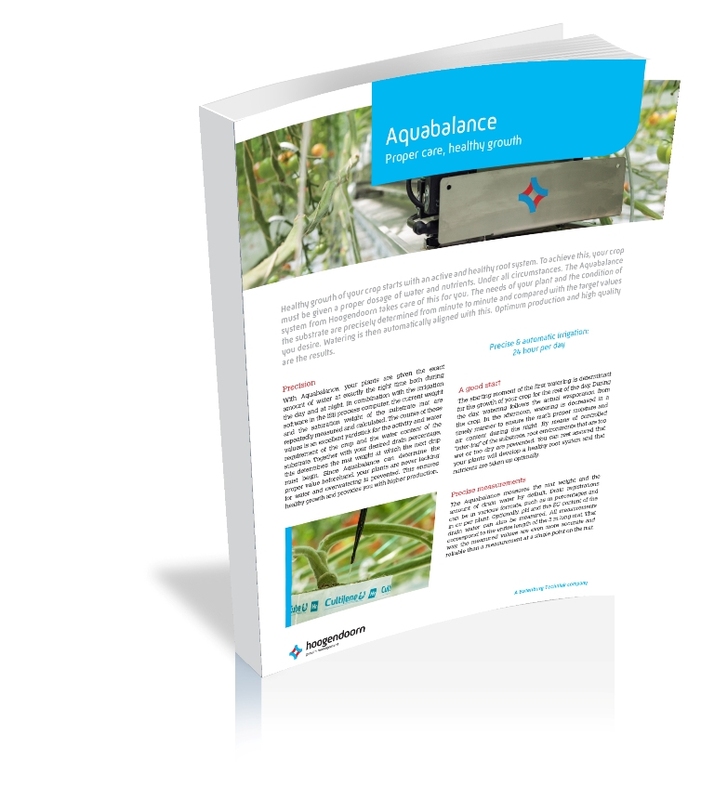 With accurate sensors, Aquabalance constantly determines the saturation weight of the substrate and the quantity of drain water. These values are compared with the target values you desire. The starting moment and frequency of the irrigation periods are then automatically adjusted to this. The result is optimal growth and healthy development of the root system. With this sustainable method of irrigation and drainage, you limit your use of water and fertilizers to a minimum. You also save on your energy costs since less water is pumped around and heated for drain water disinfection.